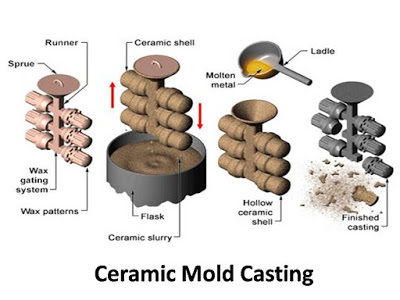 In this article we will learn about types of casting used in manufacturing industries. Casting is a major manufacturing process which is mostly used in heavy industries. 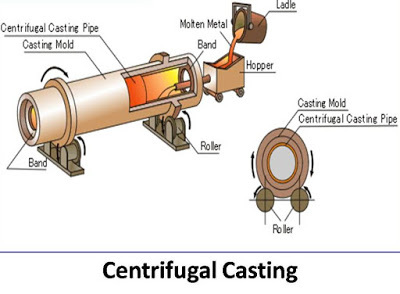 Most of the components like outer casing of turbine, lathe bed, valve casing, hydro turbine blades, Pelton wheel, Francis runner and many other parts of major machinery are made by the casting. The cast product has low strength compare to forging but any difficult parts can be cast by this technology. 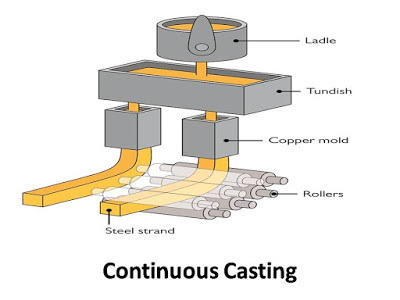 Casting is widely used any many different shapes and material can be cast by it. 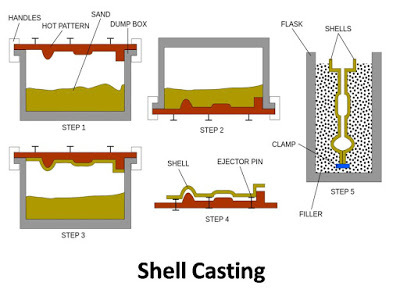 There are various method of casting available which are used for different shapes and material. Casting has following types. It is widely used for casting different process. 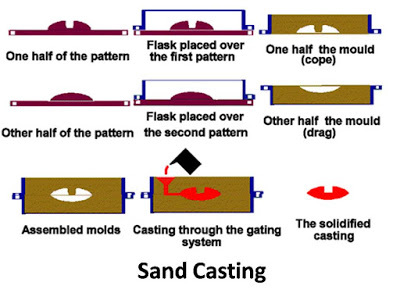 Sand is easily available and has high refectory property so it is used in casting. It is done by following steps. Design is made by using software or manually. A wooden pattern is created in pattern shop. Generally patterns are made into two half and can be increased accordingly to complexity. The pattern is placed into the flask and mixture of sand and clay with water pour into it. The runner, riser, core, gating system is also fit into it. When the mould gets hard the pattern is removed from mould and molten metal pour into it. The metal is allowed to get solidify into the casting. After solidification cast is removed from casting and send to machine shop for machining. The sand casting is used for all metal and at low cost. An another advantage is that it can be used for very complex shape. It gives poor surface finish. It is an another method of casting and used to cast thin section like turbine blade etc. This casting is different from sand casting. A metallic pattern is used in this type of casting. It consist following steps. The patterns is heated up to 250 degree and put into flask. The flask is filled with sand resin mixture. The resin gets solidify immediately after gating contact with heated pattern. After the sand solidify the pattern and the extra sand taken out. Now a shell of cavity is created. This shell is further heated into burner which allow proper bond. The metal is poured into the shell and allows to solidify. After solidification cast is removed from shell and send for machining. In this type of process, wax pattern is used. The pattern is first created by wax dipped into refectory material. This refectory material make a shall outside the wax pattern. After it mould is heated which allow waxing out from mould. Now the molten metal poured into cavity formed by it and allows solidifying. The cast is taken out after proper solidification of cast and send for machining. The main advantage of this process is that a very high accuracy and surface finish can obtain by it. It is used for complex shape and batch production. 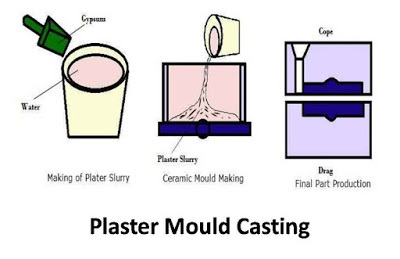 These method uses plaster mould for casting. First plaster mould is created using patterns. After removal of pattern, the plaster mould allows to dry into an oven. After dried, molten metal is poured into it and allow solidifying. 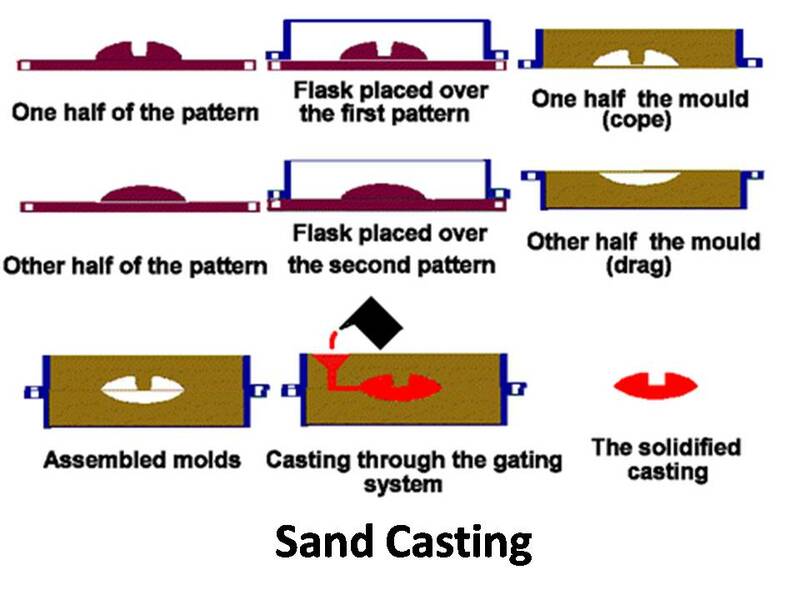 After complete solidification cast is sand to the machine shop. Mostly zinc and aluminum is used as molten metal. This casting is used to create prototype. Ceramic mold casting is same as investment casting but it does not use wax pattern. The slurry of ceramic and liquid binder is pour on pattern which is easily solidify. There is no wax pattern is used so there is no limitation of size of casting. This type of casting is mainly used to cast heavy component like valve bodies, military equipment etc. This casting is mostly used to cast aluminum, lead etc. 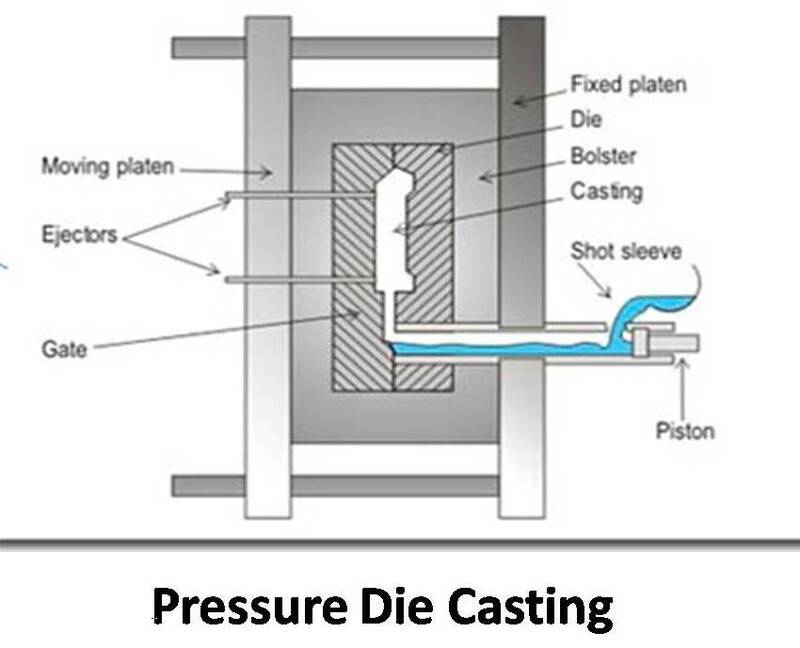 In this casting a liquid metal is pumped at high pressure into a metallic die and allow to solidify. 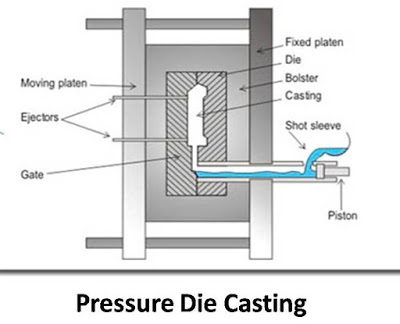 The metal is allowed to solidify there and take out after solidification .The die is again used for next cast. It is well suitable for batch production of casting low melting point metal. It is not suitable for high melting temperature metals. The tooling cost is also high. It is one of the most suitable casting processes of casting symmetrical cylindrical component. In this process a liquid metal is poured at the center of a rotating die. 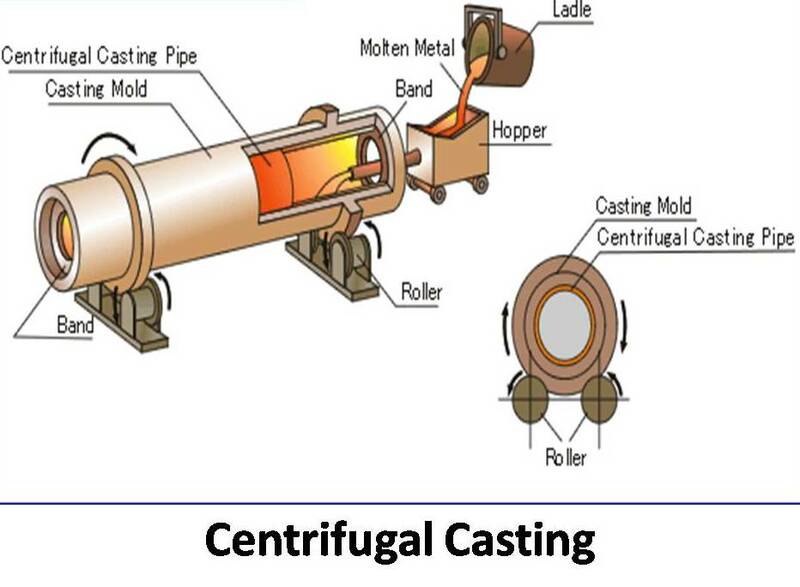 The die rotate and a centrifugal force act on the molten metal which forces it to towards circumference. It is used to create hollow shape. The light impurities crowed near center which is removed by machine. This process eliminates the use for core and gating system. This type of casting is used to make pipes etc. 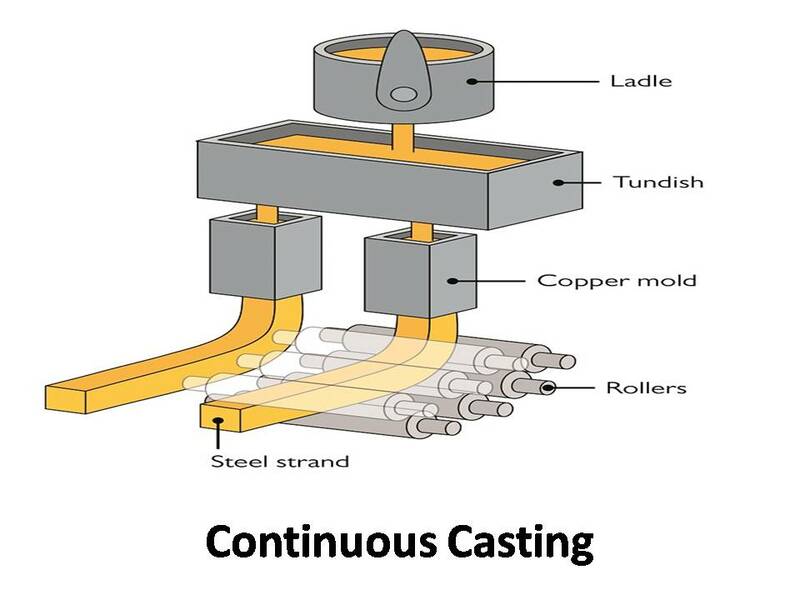 It is a different casting process which is used to create continuous cast. In this process we do not use mould or cope and drag. It is different in principle. In this process the molten metal poured into a trash which is connected to a copper pipe. The copper pipe is surrounded by water cooling. The metal is directly or immediately cooled after when running through pipe. The casting product takes out from other side. This process continuously run and molten metal continuously pour into it. It is used to create square or other shape simple block which further used for rolling or other process. 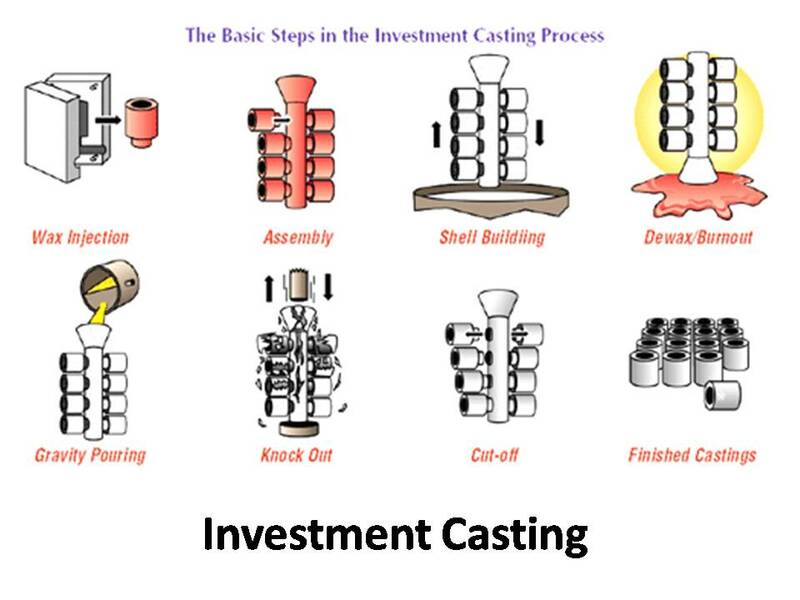 These all are main types of casting. If you have any doubt regarding this article, ask by commenting. If you like this article, don’t forget to share it on social networks. Subscribe our website for more informative articles. Thanks for reading it.